The Abu Garcia 7000i C3 CT MAG HS is the ultimate big water casting reel. Proven durability with corrosion-resistant bearings (IAR and HPCR) and Carbon Matrix Drag System. This reel comes with an open frame for easy line access, magnetic casting brake, and dual anti-reverse. Weight: 19.9 oz. Line Capacity: 20 lbs./270 yds. Gear Ratio: 5.3:1. 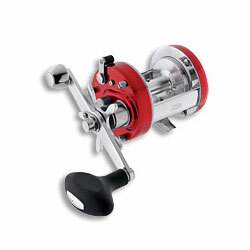 "Because this is a new reel model, we were unable to find any customer feedback yet. Please check back soon for new customer reviews and comments."